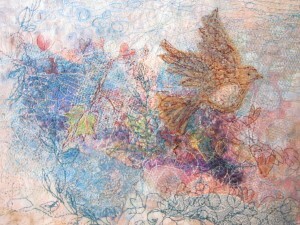 "Consider the birds" Mixed Media free motion stitched fibre and fabric collage on silk. Using her own dyed silk backgrounds,fibre collage and free machine stitch with some hand embroidery, Debby layers colour, texture and line in semi-abstract work. "Surface of the stream" inspired by Autumn leaves floating. 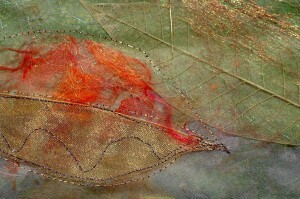 silk fibre paper, skeleton leaves, paper, angelina fibres and stitch. 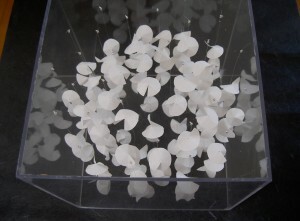 Debby creates small sculpture to wear or admire and large scale installations such as the hanging mobile in the two storey tall waiting room of Horfield Healthcentre Bristol. Feature picture "senseof Wellbeing" Three dimensional stitched paper, silk and porcelain. 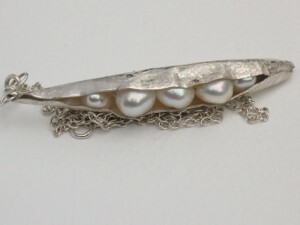 Lace textured fine silver, folded to nestle freshwater pearls. 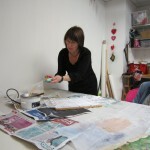 Using a range of precious and recycled elements,Debby creates textured unique and delicate works. 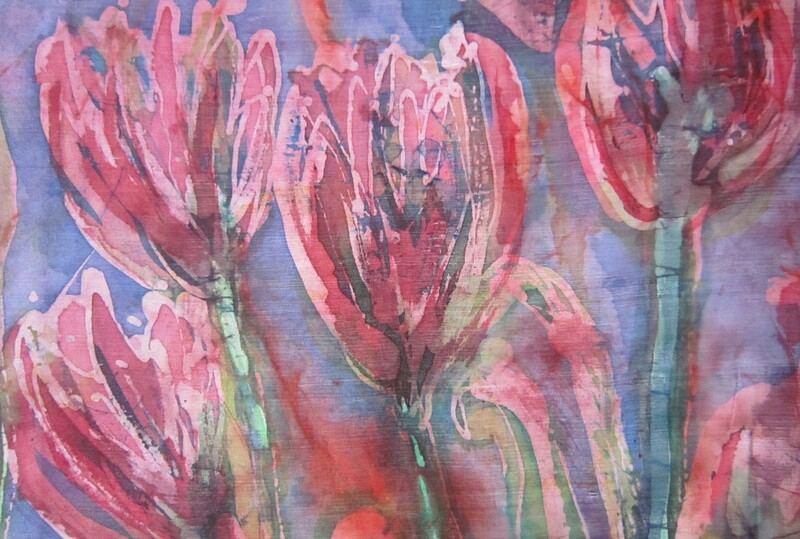 A world of nature inspired, stitched and textured joy!